2 door and 4 door models. Please contact us by telephone or email for further details. 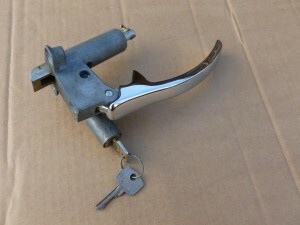 We also have the interior door and window handles in stock at £3.50 each and many other parts for these cars. Please contact us for further details. Exterior Door Handle RH/Driver’s Side for 2 door and traveller models. New old stock original BMC part.